The following statistic should grab your attention – breast cancer is the leading cancer killer among women aged 20–59 years worldwide according to the World Health Organization. The sad thing of course is most if not all of these deaths would not have occurred had it been for early detection through preventive screening. Most women know that they are entitled to a free mammogram every year or two if they are over age 40. But unfortunately, there are many who are unaware of the many preventive care services available to women at little to no cost. These preventive care screenings are vital in catching conditions like breast cancer at an early, manageable, and treatable stage. Continue reading to learn more about 10 vital preventive care screenings for women, and look below for more information about upcoming health insurance changes affecting women's health. The well-woman visit is a perfect time to ask questions about abnormal periods, infertility, and other obstetrics and gynecology issues. Well-woman visits include a full checkup and focus on preventive care for women. All pregnant women are at risk to develop gestational diabetes. If you are pregnant, you need to be screened as part of your prenatal care. The ob/gyn performs the screening by taking your medical history and weighing your risk factors. An oral glucose tolerance test may be performed as well. If you know or suspect you are pregnant, make an appointment with an AAW obstetrician. Regular prenatal checkups and tests are needed throughout your pregnancy to ensure the health of you and your baby. Cervical cancer, found in the cervix, often occurs with little or no symptoms. It is important that you have a yearly Pap test for early detection of cervical cancer. The human papillomavirus is the most common sexually transmitted virus in the U.S. The HPV test checks for the virus that can cause cell changes on the cervix which are believed to cause cancer. A mammogram is an x-ray picture of the breast. Screening mammograms are used to check for breast cancer in women who have no signs or symptoms of the disease. You have a better chance of survival if breast cancer is detected early. Breastfeeding helps you bond with your baby and offers health benefits for you both. It's important to discuss breastfeeding with your physician to decide if breastfeeding is appropriate, especially if you are taking medication that may be harmful to your baby. Birth control (contraception) is part of family planning. It prevents pregnancy until you and your partner are ready for a baby. There are different types of birth control available. It's best to discuss your options with your gynecologist. If you are 50 or older, osteoporosis prevention and treatment is vital. A bone density test, similar to an x-ray, measures your bone strength. The test will reveal if you are at risk for osteoporosis. Your AAW doctor can help you decide if preventative treatment is necessary. Health-care providers at AAW provide education and counseling to patients about STDs with respect and compassion. Many women's preventive health care services are available at no cost to you. Once the Affordable Care Act, also known as Obamacare, takes effect starting January 2014, more services such as mammograms, prenatal care and cervical cancer screenings will be covered with no out-of-pocket expense to you. Preventive care is important because it helps healthcare professionals monitor your health and find potential issues early. Early detection saves lives! To learn more, please visit our blog and knowledge center today. Gainesville preventive care physicians at All About Women Obstetrics & Gynecology offer the most compassionate, comprehensive healthcare for women of all ages across North Florida. 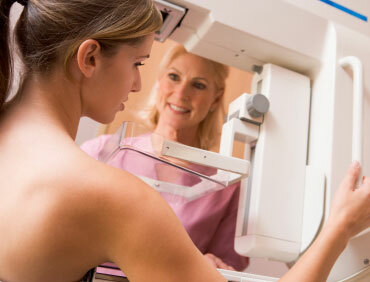 Do not delay preventive care screenings like a mammogram or pregnancy help. Don't wait until it's too late. Contact us to schedule an appointment today. Personalized and compassionate preventitive care is just a click or phone call away. Our experienced team of doctors, midwives and staff are here to address the health needs of all women in Gainesville, Lake City and surrounding communities in North Florida.